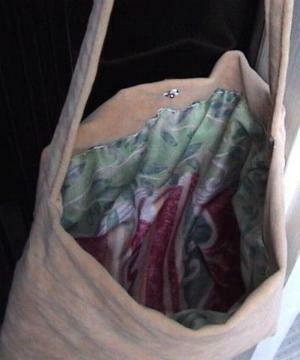 This purse measures 10 wide x 11 1/2 inches high. 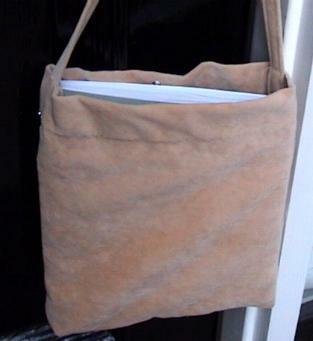 The fabric is a beautiful beige/tan suede. The strap is 20 inches total. This purse will fit under your arm. I make all of my items, therefore, the silver beads across the front was done by hand. 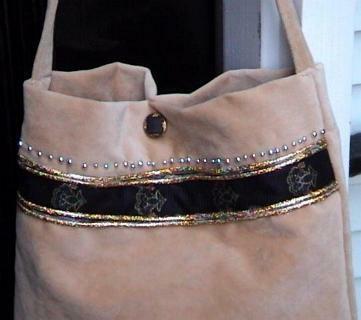 The gold highlight trim accents the front of this bag. The gold/black button is for decoration. The bag closes with the attached snaps. This one has no inside pocket; but can easily hold your cellular phone, wallet, Ipod, small notepad, a small book and lipstick.